One of our best-selling Cardiff City gifts of all time, this personalised dressing room photo is the ultimate must-have gift for any Cardiff City fan. Fully licensed and approved by Cardiff City themselves, you can be assured of quality and authenticity. 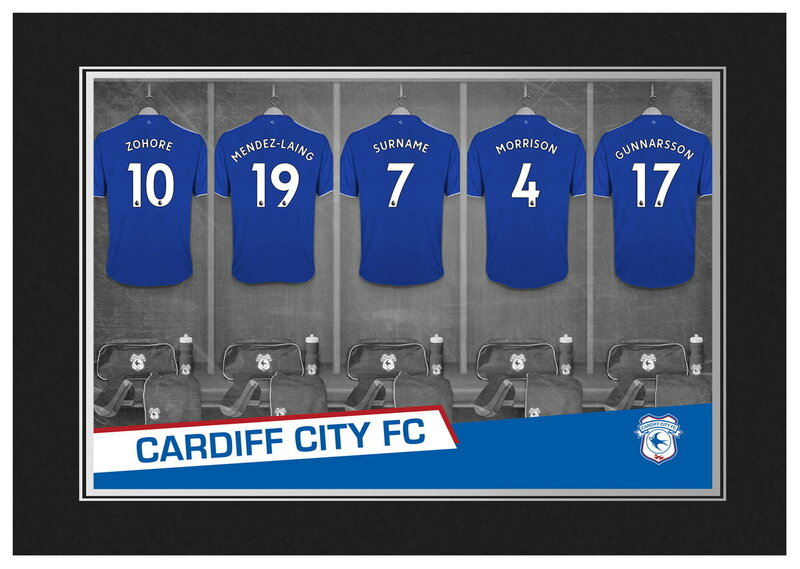 One of our best-selling Cardiff City gifts of all time, this personalised dressing room photo is the ultimate must-have for any Cardiff City fan. This is a fabulous present for any Cardiff City fan and is approved and fully licensed by the club. This is a fabulous present for any Cardiff City fan and is approved and fully licensed by the club themselves.